The words and numbers in brackets are the seed producers’ heat indicator. I am a bit of a lightweight when it comes to hot chillies. So, hopefully at the end of the season when it comes to tasting, I’ll be sticking to the Sweet Tasty Mix and the Picante Calabrese. But I’m fully expecting Andrew to try them all no matter how fortemente piccante they are! Two weeks later and our first seedlings are beginning to show. All of the Thompson & Morgan Heatwave and three Mr Fothergill Cayennetta are up. Others are showing one or two seedlings, but there’s no movement as yet on T&M’s Sweet Tasty Mix, Numex Twilight or Blumen’s Trinidad Scorpion Giallo. We are a bit worried about one of our Blumen Habanero Chocolate as it seems to have gone brown at the end (the one on the right in the picture below). Not sure at this stage if that’s how it’s supposed to look or if something’s gone wrong with it. Still, it’s early days. More to follow in the coming weeks. Are you growing chillies this year? Let us know what you’re growing and how you’re getting on! Nice selection. I didn’t realise it was year of the chilli! There are a few chilli-specific seed circles out there, which is where I get a lot of my seeds. I’ve cut down this year and have gone for (deep breath!) – Bartlett’s Bonnet, Bulgarian Carrot, Burkina Yellow, Filius Blue, Nigel’s Outdoor, Nosferatu, Padron, Purple Jalapeno, Trepadeira Werner, and seeds from what £land billed as a habanero, but what I think is a jalapeno. 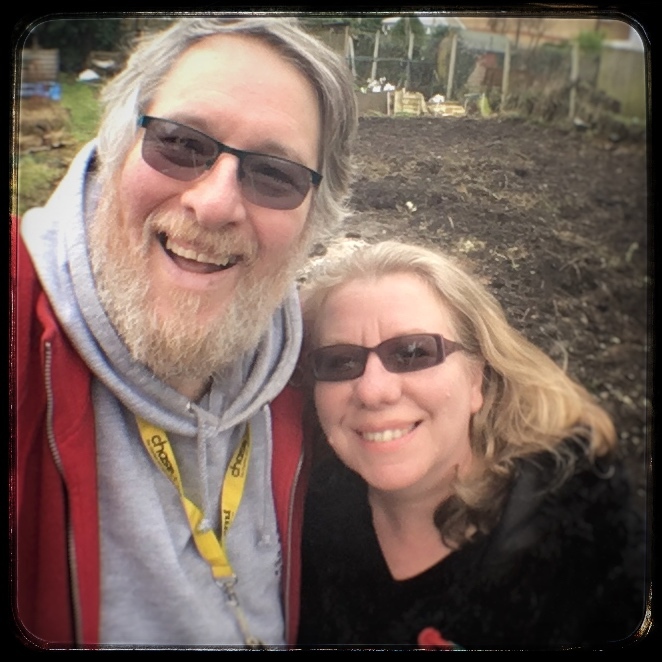 I am way behind though – usually I sow in January and grow them on under lights but this year I left it till April, which might mean a bit of a meagre crop and an attempt to overwinter the plants. I don’t grow superhots much ‘cos I can’t eat them, but they make a lovely hot sauce for friends with higher tolerances! Some of those chilli names are brilliant, aren’t they? The Bulgarian carrot! Nosferatu! We’ll look out for chilli seed circles, depending how we do this year. Like you, I’m not a big heat fan but I am looking forward to seeing how the chocolate chillies turn out. I love my chillies. Every year I grow a lot of them. Also every year I go to chilli fiesta at west dean gardens near Chichester as a celebration of all things chilli related. Good luck with your chillies. Sounds great – we’ll have to look out for the chilli fiesta!